Electronic components, vehicle components, assemblies ... The list of products that are subjected to some of the harshest environmental conditions during their service life is endless. For decades now, industry and research have been focusing on using dynamic climate chambers for environmental simulation. With technical opportunities increasing, the requirements of measuring technology have also changed, which has resulted in numerous standards and guidelines. Along with the technical demands, complying with these standards and guidelines is a significant challenge for the measuring technology used. The following article will explain to you why you should avoid trying to save money on the quality of the technology you use in environmental simulation. A wide range of test methods are applied in environmental simulation in order to identify how an object or living system interacts with the expected environmental conditions. These conditions are simulated in fast motion. In other words, the test parameters are set based on certain guidelines, such as the "Good Laboratory Practice", so that they correspond to the actual stress that would be applied over a longer period of time, which is often equivalent to a year. It goes without saying that measuring this test period is also an expense, which is to be taken into consideration with the acquisition of new measuring technologies. The aim of environmental simulation is to analyze the sometimes complex network of causal chains as comprehensively as possible. Therefore, environmental simulation is mainly used to reveal causalities and to depict these as models. Environmental simulations set high expectations on the measuring technology used and demand a high degree of expert knowledge. Because, even if there are stringent guidelines for almost all use cases, no experiment is exactly the same as another. the reactions to the environment of a test object or a living system. 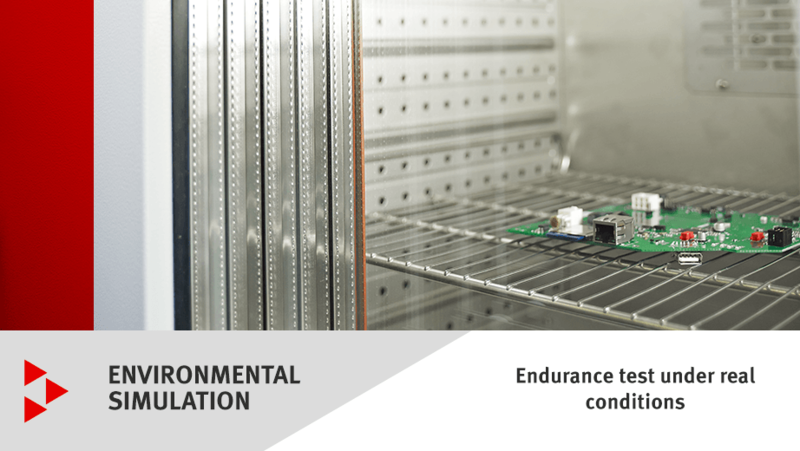 Particularly in the field of electronics, but also in other industries such as automotive, aerospace, and medical research, dynamic climate chambers have proved to be successful in environmental simulation. We have used concrete applications in our Case Studies on the dynamic climate chamber. A material stress test in a BINDER dynamic climate chamber. 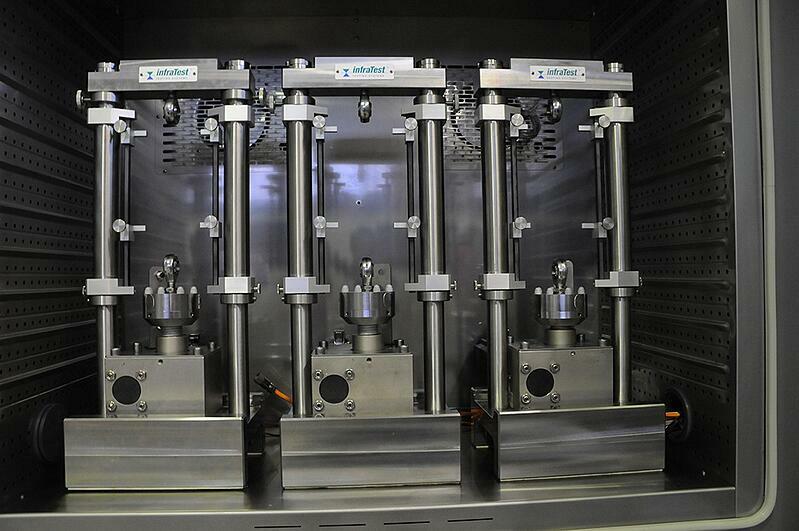 To set additional parameters, good dynamic climate chambers can be customized and upgraded for the specific requirements. Environmental testing procedures are always subject to customized requirements specifications. The general guidelines for categorizing environmental simulations is regulated by the first part of the IEC 60068 standard. The following sections look at the specific requirements of the respective applications. Economic considerations also play an important role in determining the standardized test conditions. Specifying an adequate testing period helps to save costs. By contrast, more comprehensive test series mostly pay off in the form of improved product quality and increased reliability. When creating standardized testing conditions for environmental simulation, do not hesitate to draw on external expert knowledge. BINDER has many years of experience in this field and not only offers the required measuring technology but also in-depth knowledge on how to use it. Standardized test results are absolutely essential when it comes to testing materials. This applies even more to challenging use cases, such as long-term measurements, or under constantly changing conditions. Read our Buyer’s Guide to find out about the things you need to consider when buying a dynamic climate chamber.